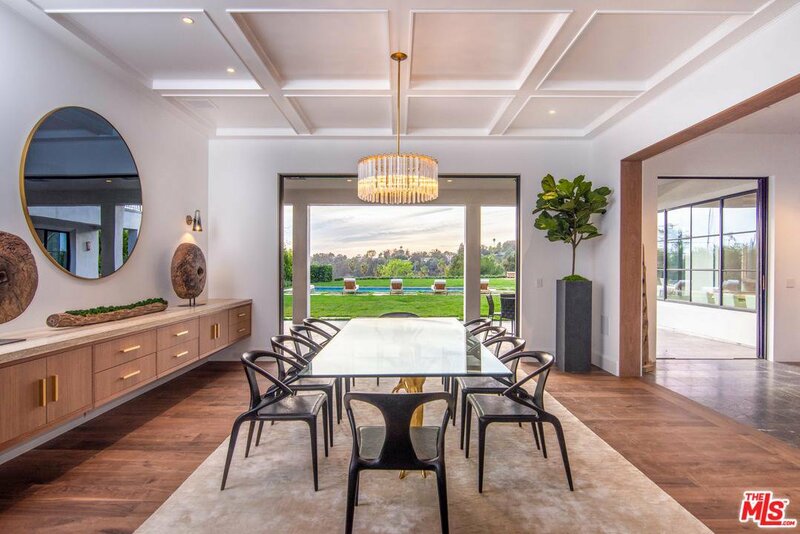 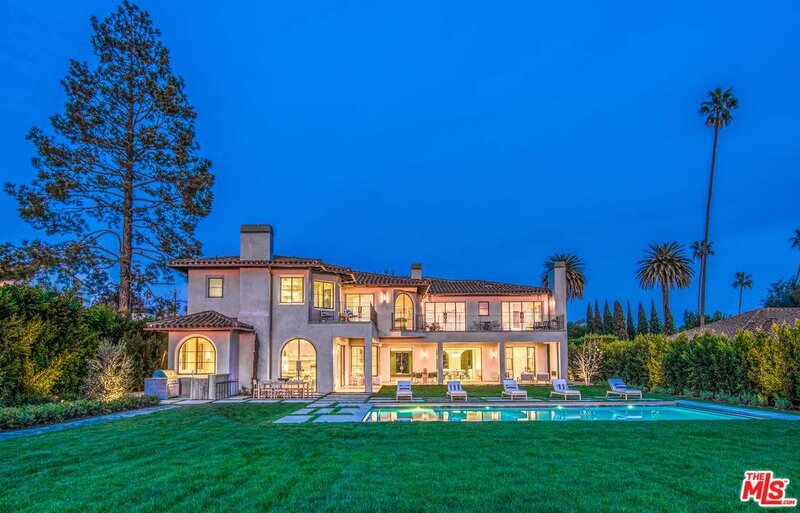 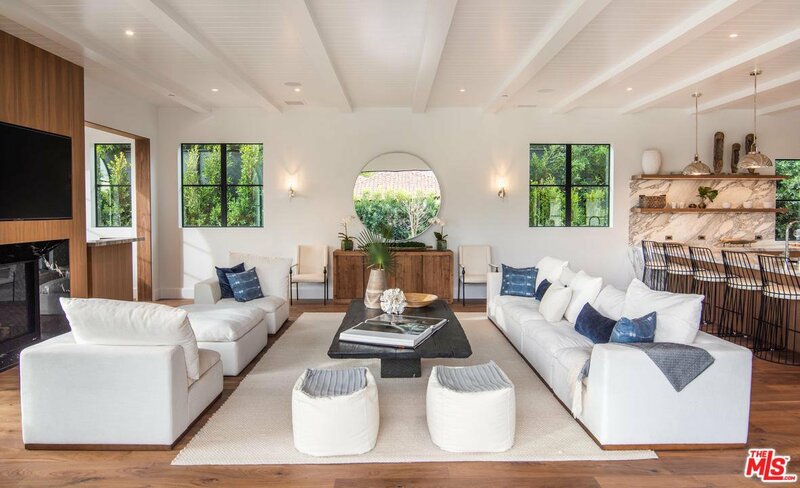 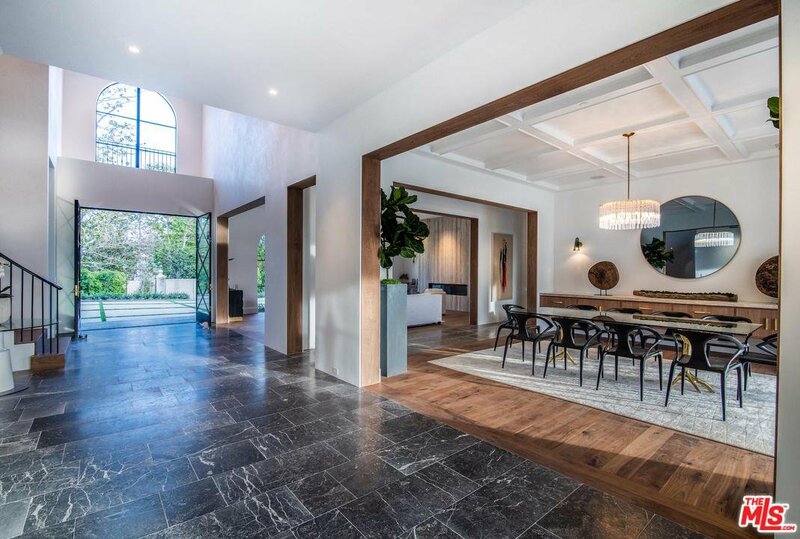 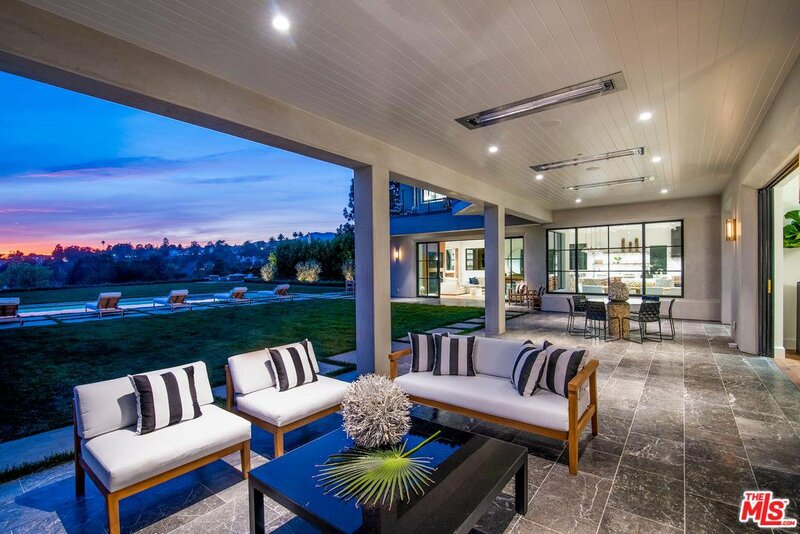 One of the few homes with ocean views on S. Rockingham, this newly constructed Spanish estate in prime Brentwood Park evokes the coastal charm of Santa Barbara with warm, contemporary interiors throughout. 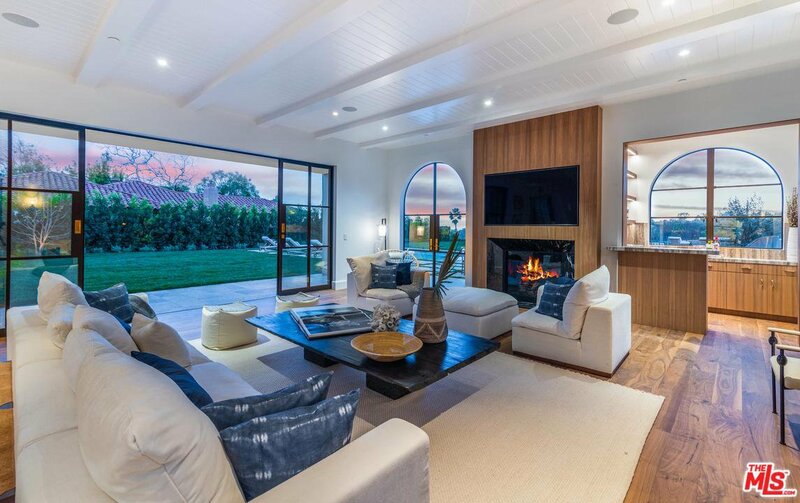 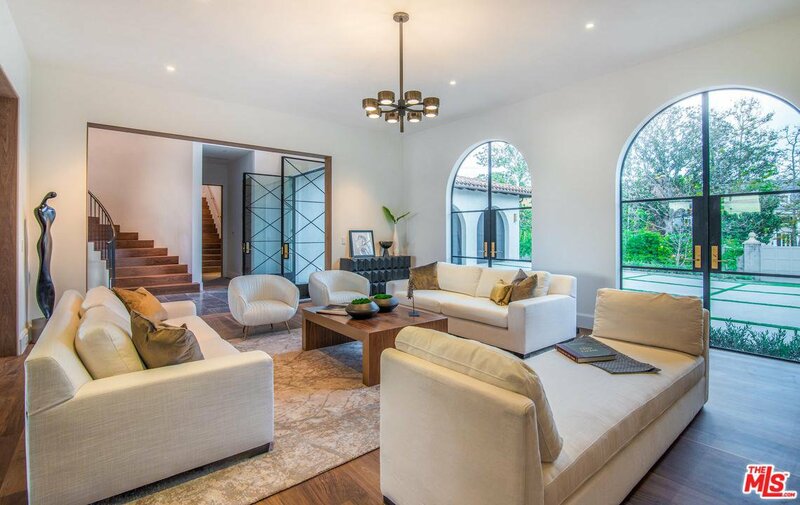 Behind gates on a flat, ~ acre lot, the home showcases impeccable craftsmanship and an indoor-outdoor flow that defines the California lifestyle. 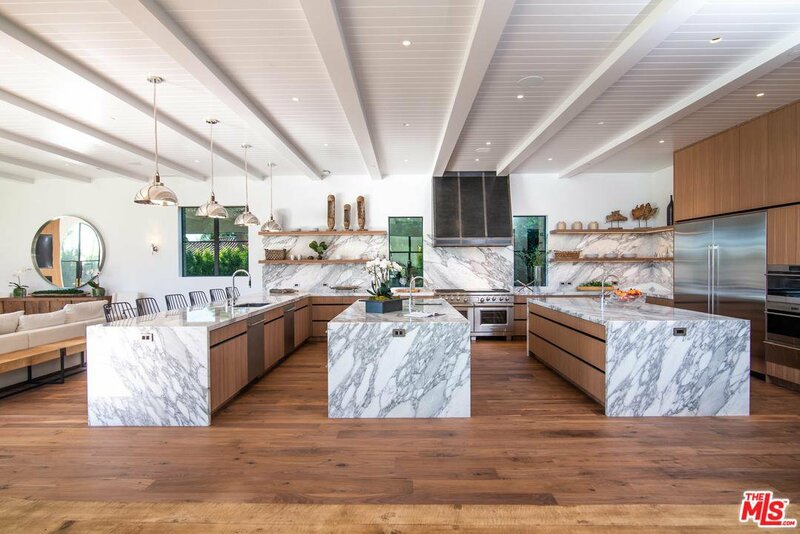 Highlights include an exquisite chef's kitchen with triple islands and family room with fireplace and indoor-outdoor bar. 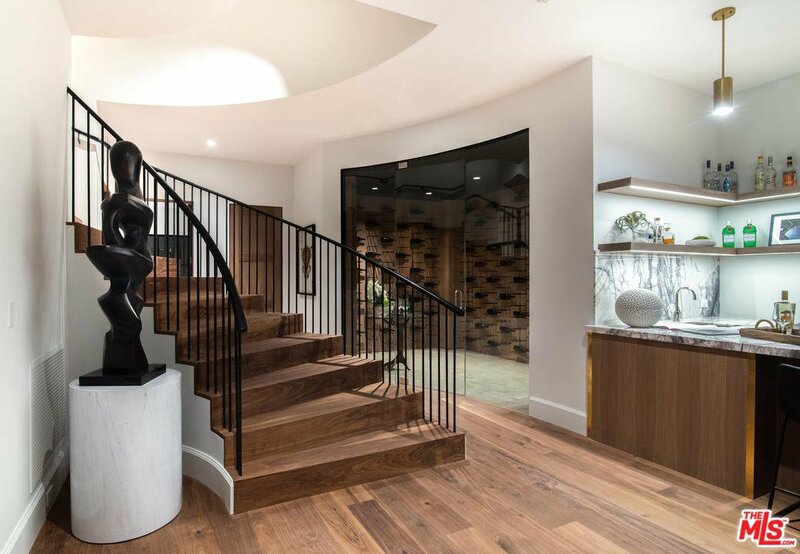 Upstairs holds 4 ensuite bedrooms and a spectacular ocean-view master with a fireplace, balconies, marble bathroom and showroom closets. 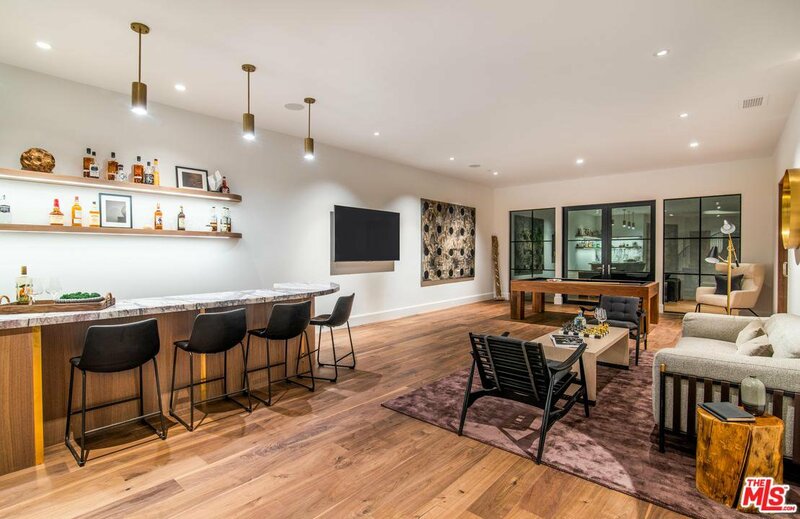 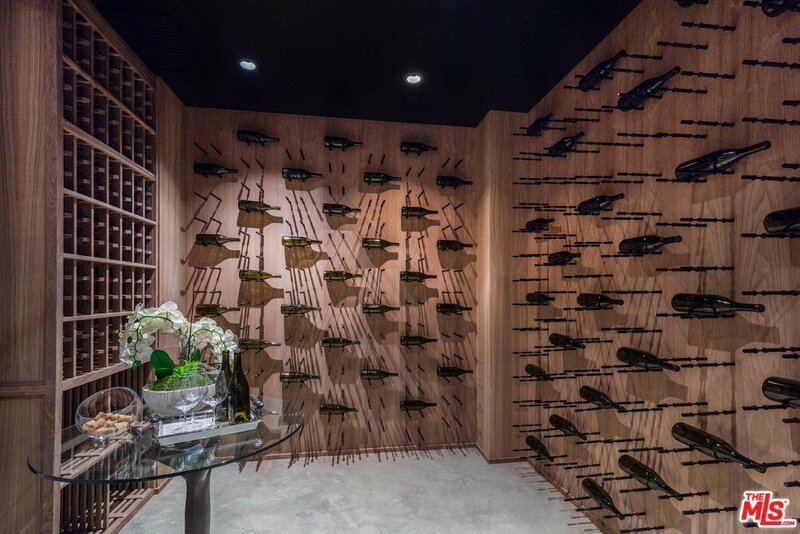 A lower level includes a theatre, bar, wine room, indoor-outdoor fitness center and sauna. 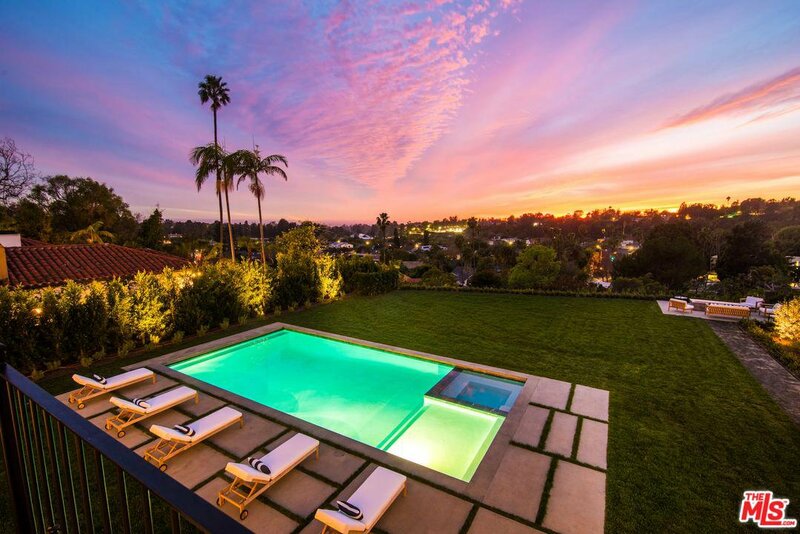 An incredible backyard features loggias, a pool, spa and grassy lawn that spills over ocean and Riviera views. 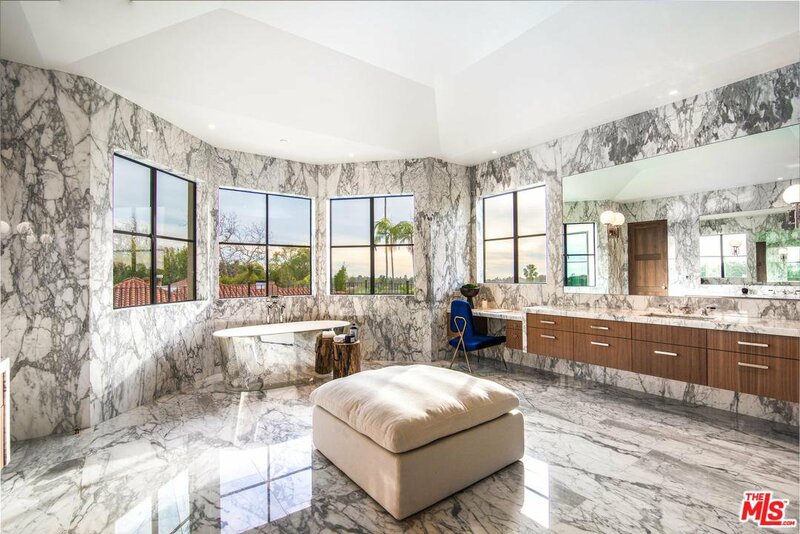 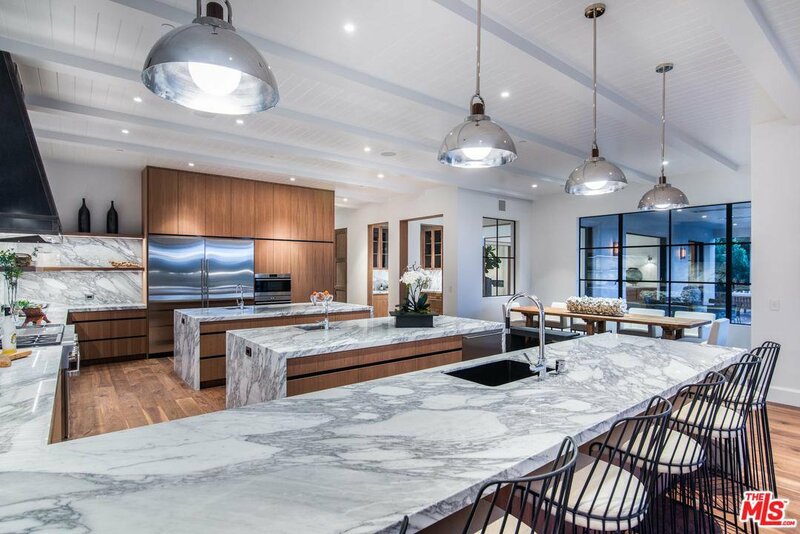 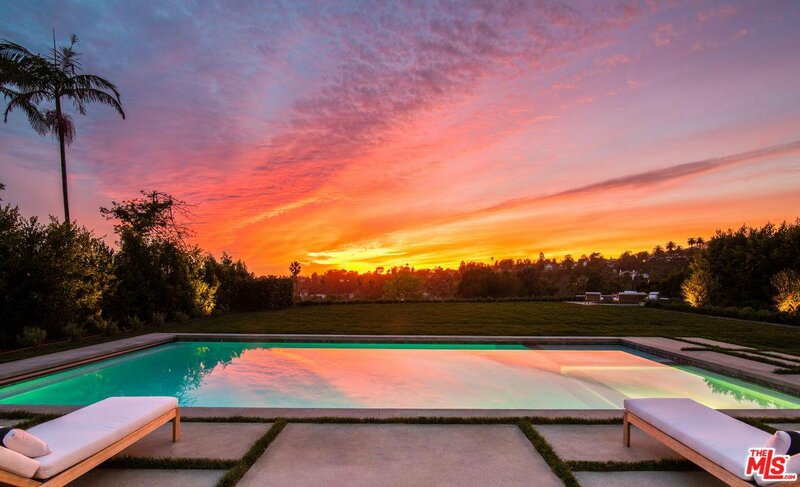 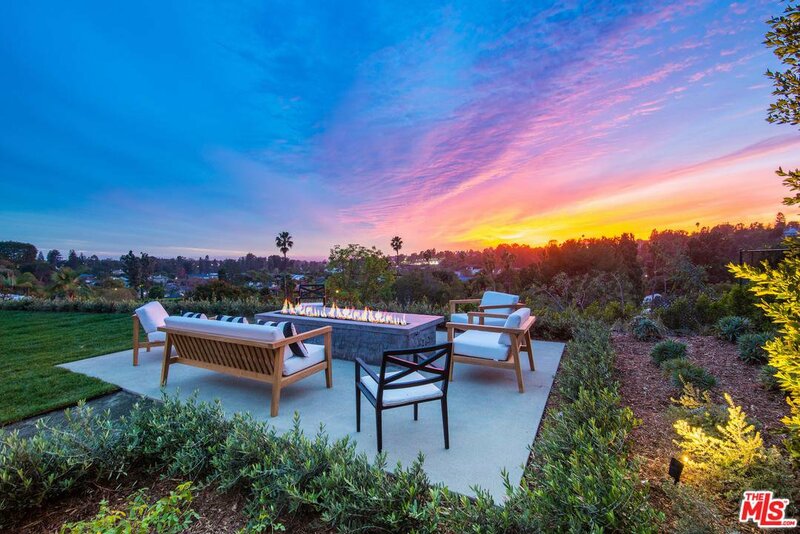 Complete with an elevator and a stone's throw from the Brentwood Country Mart, this extraordinary home offers a refined coastal living experience unequaled in the neighborhood.